The potential problem with security involving just keys is that a loved one could easily get access if the keys were left almost anywhere at home, with potentially disastrous results – think how many people may have both legally held firearms and un-trustworthy teens or occasional visitors in the same house! Further, in the event of the keys being stolen, or cloned, it could be a major issue. 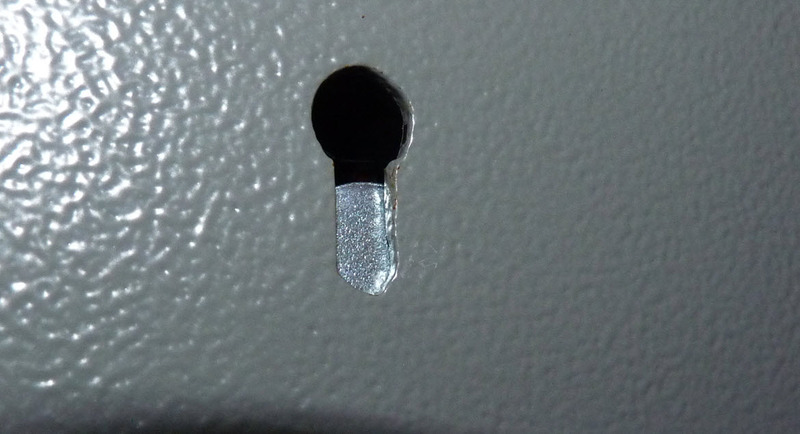 For whatever reason, I was tasked with adding a code lock to a gun safe. 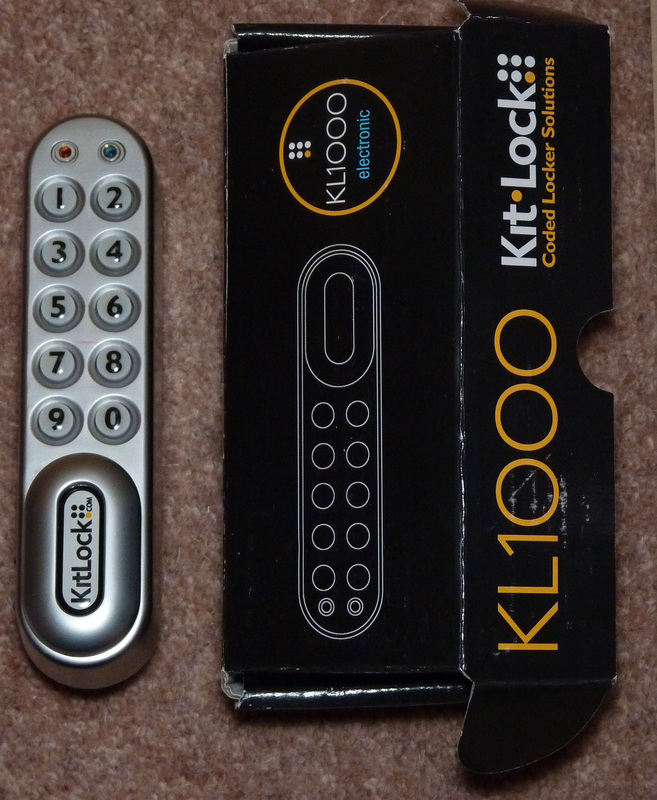 Back many years ago, Codelocks brought out their first digital locker lock, and I took a look. One little thing I noticed was that the code buttons were both 1 & 2, combined, and so on, so there were only 5 buttons. 1111 and 2222 were the same button presses, as was 1212, etc. 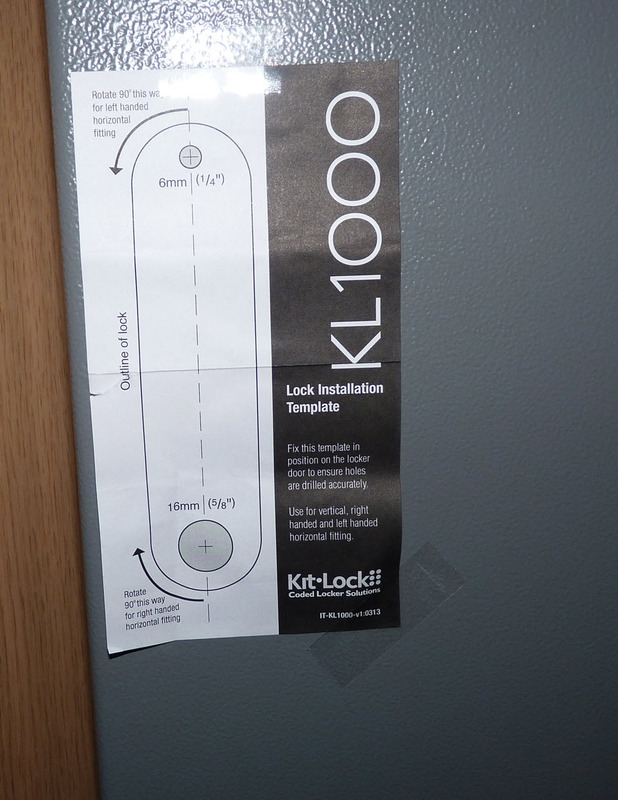 Arguably fine for a locker, but it reduced the codespace from 10^4 = 10,000 differs to 5^4 = 625. My first thought was that I could perhaps mount it sideways, and use the metal latch as a cunning way to prevent the key being inserted. 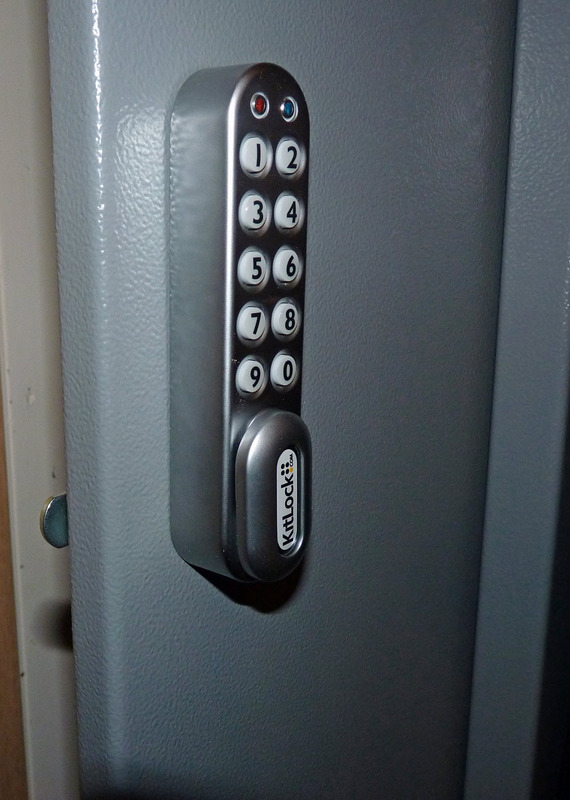 Similar to some higher end safes, you would enter the code and turn the plate out the way so the “real security” of the lever lock was enhanced. Sadly, it wasn’t to be. 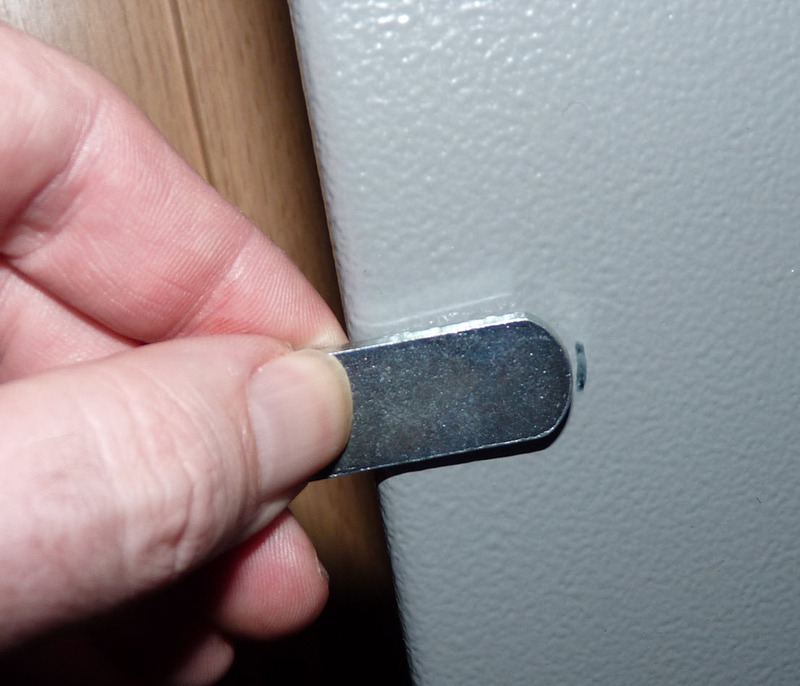 The lever lock is offset in the door and also has a standoff plate so that it can fit behind a rebated full length keep, and it just wasn’t quite possible to do it. 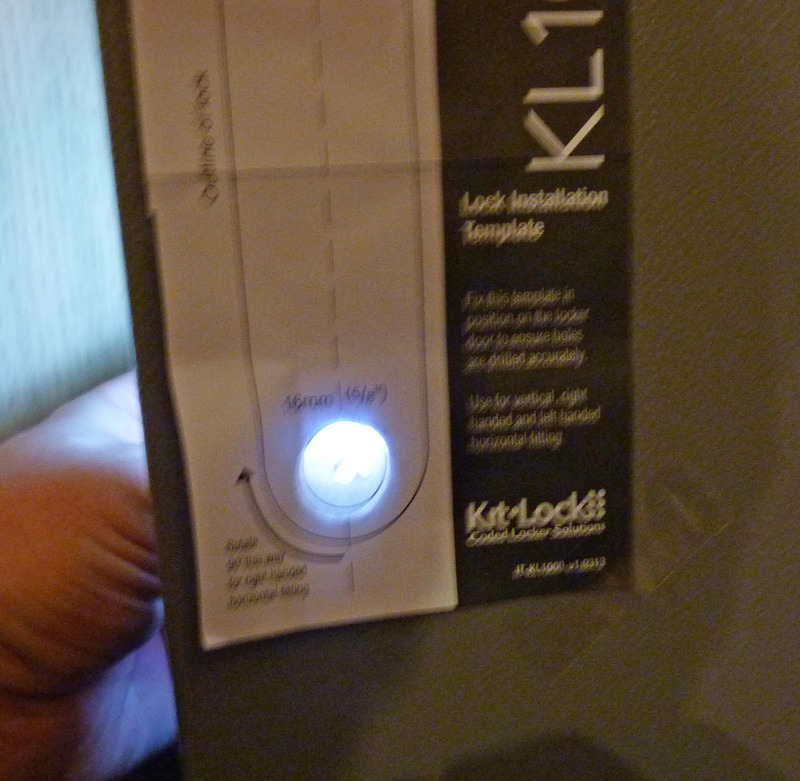 Instead, I decided to fit it centrally, as an additional locking point. The first step was to check the lock worked. I opened the supplied AAA’s and sure enough, it lit up red until I looked up the default combination in the manual. 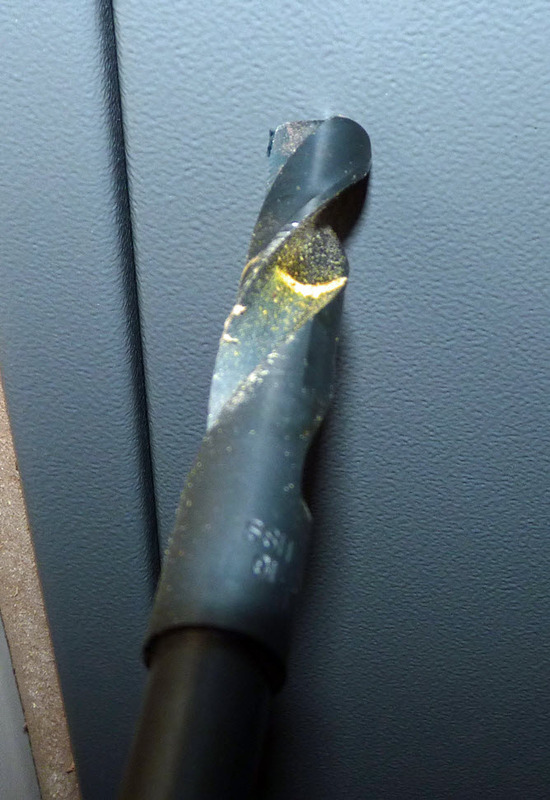 Next, and by far the most onerous part, was to find the 16mm drill bit. Not required for an upgrade, but this was a fresh fit. 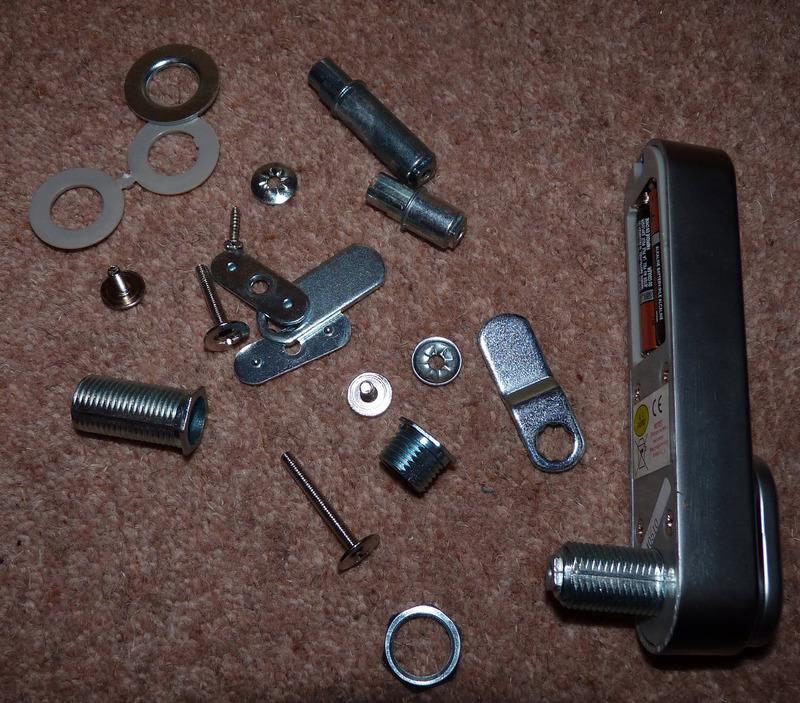 You can see the required bits needed in the photo – a 16mm bit, a 6mm bit and a marker pen – measure twice, and all that. Also, a bit of tape for holding the template. Next I taped the template in position, remembering to allow for the radius of the large hole. 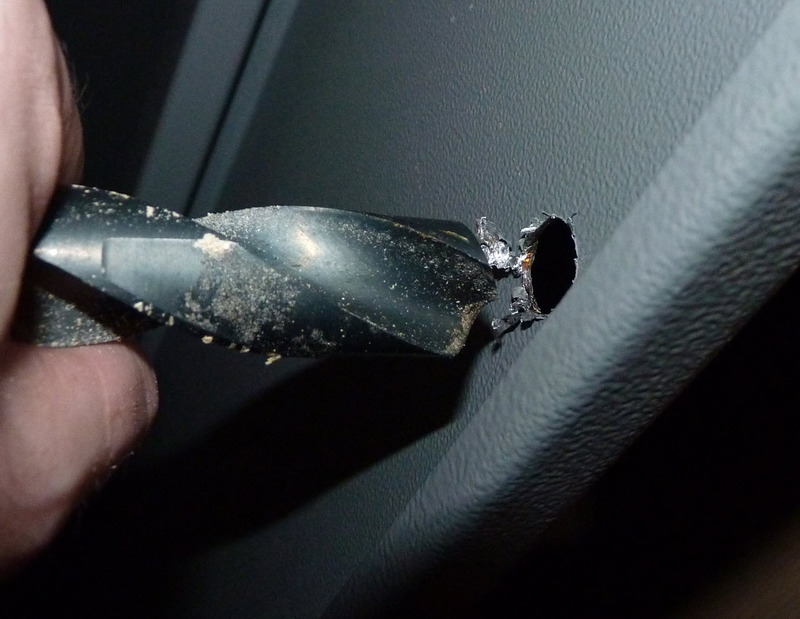 A quick holding up of the lock assured me I was in the right place, and a brief blast of the 6mm bit in the middle of the larger hole left a good starter for the massive 16mm. Once through, you can use a torch to align the template perfectly with your hole, re-stick the tape, then drill the top 6mm hole. Deburr the inside, and fit the lock. This bit is pretty self explanatory, and unless you need to swap the spindle about, it will take under a minute to have it bolted and screwed into place. 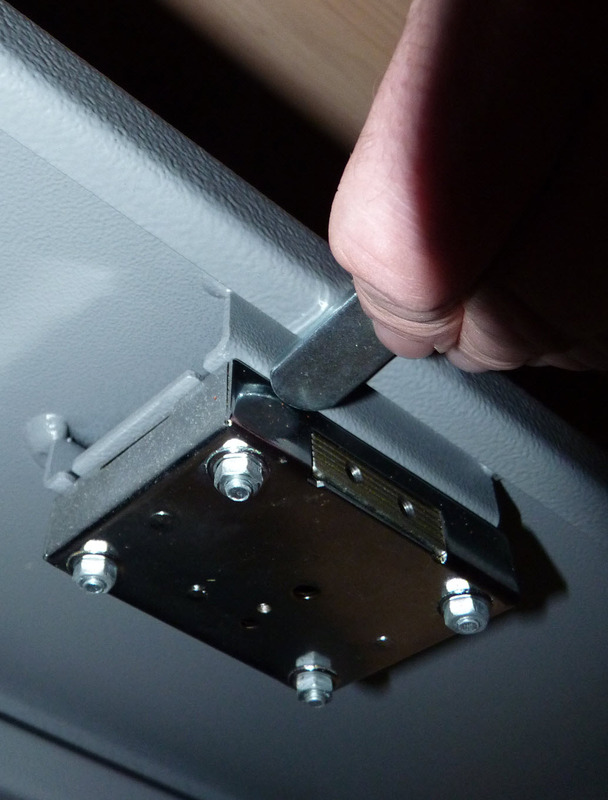 Next configure the cam and screw that into place, as you would on a locker. Test the operation and you are finished. Now reset the codes and let the customer program in a PIN and master code, and you are done. Have you ‘Solved a Problem’ and have the pictures, then let us print it for others to learn.